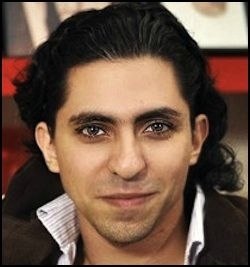 According to the Saudi Arabian-based newspaper, Arab News, "the Arab Spring is not about seeking democracy, it is about Arabs killing Arabs… about hate and sectarian violence…. The Arab Spring is an accumulation of years of political corruption, human rights violations, sectarianism and poor education systems…. 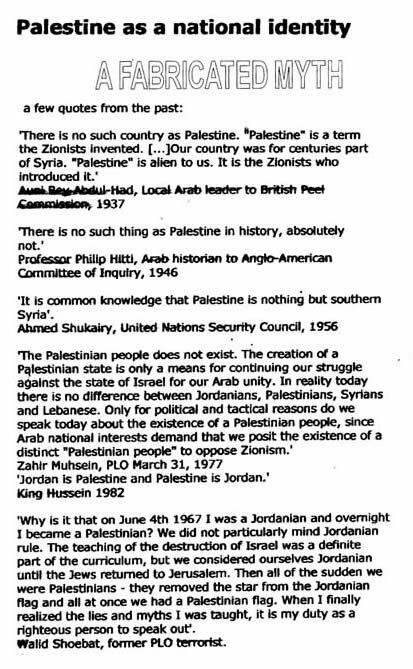 The Arabs were never united and are now divided beyond anybody’s imagination. Arabs hate each other more than they hate the outside enemy. Syrians are hurting Syrians and the Israelis are the ones who treat the Syrian wounds [in an Israeli field hospital built on the Golan Height]." Zineb El Rhazoui est une journaliste et militante des droits de l’homme franco-marocaine, née le 19 janvier 1982 à Casablanca. Elle vient de publier Détruire le fascisme islamique qui paraît aux éditions Ring. "Pouvez-vous imaginer une religion dont les adeptes prient quotidiennement, récitent le chapitre le plus important de leur Livre saint, qui contient des malédictions envers les autres ? "- "Can you imagine a religion whose devotees daily recite the most important chapter of their holy book which contains curses against others?..." What Boycott Israel looks like in Paris: Regardez vite cette vidéo avant qu'elle ne disparaisse. Filmée il y a quelques mois en plein Paris par un journaliste de la télévision polonaise. 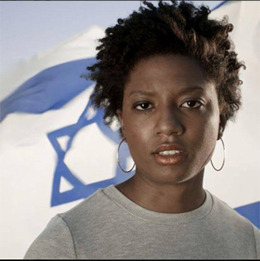 Jerusalem U proudly presents “Forever” – a powerful new video about Jewish pride from African-American poet Chloé Valdary; a leading new voice in the pro-Israel movement, a Tikvah fellow under Pulitzer Prize-winner Bret Stephens at the Wall Street Journal, and one of Algemeiner’s top 100 people positively affecting Jewish life today. The subject is the allegedly ancient Arab village of Susiya. 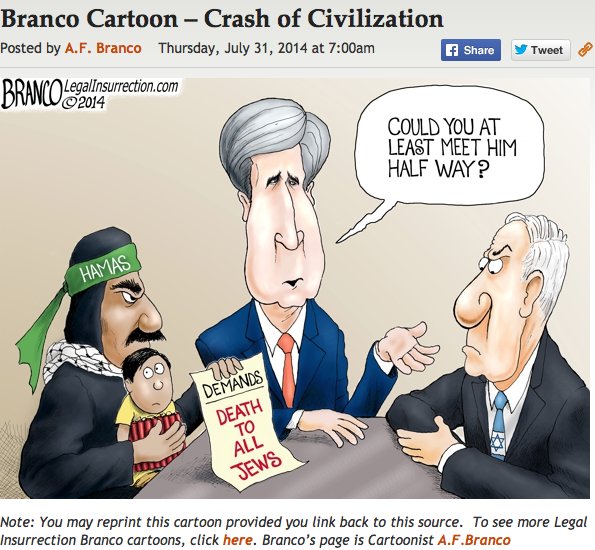 The issue is Israel’s rights as a sovereign state operating under rules of law. In the Hebron Hills of Judea there are the remains of an ancient Jewish city known as Susiya, which flourished in the Talmudic era. It is estimated that about 3,000 people – all Jews, observing a religious life – lived there at its height. 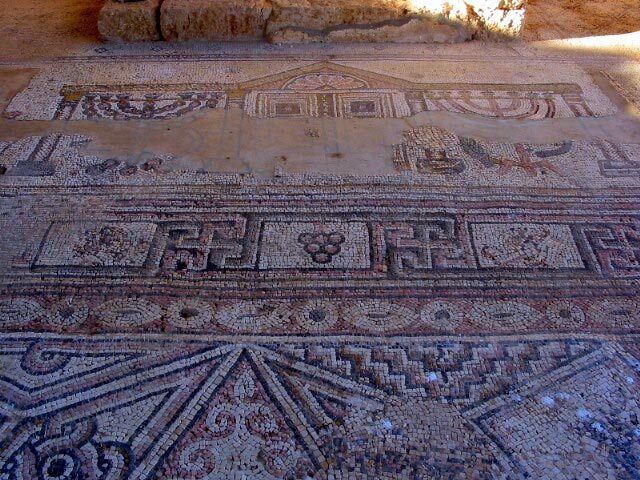 Archeological remains, including a synagogue, that have been excavated can be visited today. 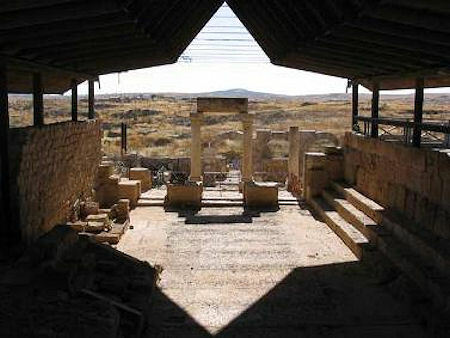 Not far from this archeological site, there is a modern Jewish town of Susiya. But within the area of the archeological remains there is also an Arab squatters’ village. It consists today of some 60+ constructions of concrete, tin and canvas. They call this village Susiya as well. And those squatting on the land claim that their village has been there for a very long time. There is no evidence of an old Arab village there. Aerial photos indicate that with the exception of four building constructed in the 90s, there was nothing on the site until after 2000. In fact, when the surveys conducted by the British mandatory powers in 1945 - which mention all of the villages in the area - are examined, no mention of a village named Susiya is found. The site had been used seasonally by Bedouin shepherds, who found shelter in the caves in the region. But in 1986, 277 dunams (about 68 acres) of land in the area, including this location, were declared to be an archeological site, at which time the caves were no longer available to the Bedouin. Most of the buildings went up between 2011 and 2013 in defiance of a court order forbidding the building. When the population registry of the Civil Administration was examined, it was found that most of the people claiming to live in Susiya had homes in the nearby town of Yatta (which is in Area A under PA jurisdiction). How about that! They move between their real homes in Yatta and the hovels in Susiya as it serves their political purpose – they come out when an entourage of left wing activists or a cadre of journalists (also most likely left wing) is due to visit. When I was there, on a Regavim tour, the place was empty. What we are in fact seeing here is a land grab by the Palestinian Arab Nawajah family of Yatta, which has built illegally and in blatant violation of Israeli court orders. Two facts must be emphasized. One is that this matter has been thoroughly adjudicated. That is, the courts – with due process and over a period of time – fully and fairly considered the issues. The courts determined that the claims of the squatters were without basis, that they had been operating in contempt of court, and that the buildings that had been erected must be demolished. This was not a determination arrived at lightly: the buildings had to come down. And then, even though these were squatters without legal rights to the land, an offer was made to them regarding an allocation of land, in area C beyond the archeological site, near Yatta, to which they might move. But they refused and applied for legalization of their current site – which was rejected by the Court. Aside from everything else, a village was not about to be legalized in a designated archeological area, which requires protection. After multiple delays, the time now draws near for the demolition of many of the structures in illegal Arab Susiya. It was last month that the Court ruled on this yet again. But nothing is ever simple here in Israel, where the Western world seems to think it has a right to a say about everything we do. This is the outrage: that others think they can tell a sovereign state that operates according to the rule of law what to do. The interference is breathtakingly offensive. We are forced to wonder if they would imagine interfering in the internal affairs of any other state in this fashion. 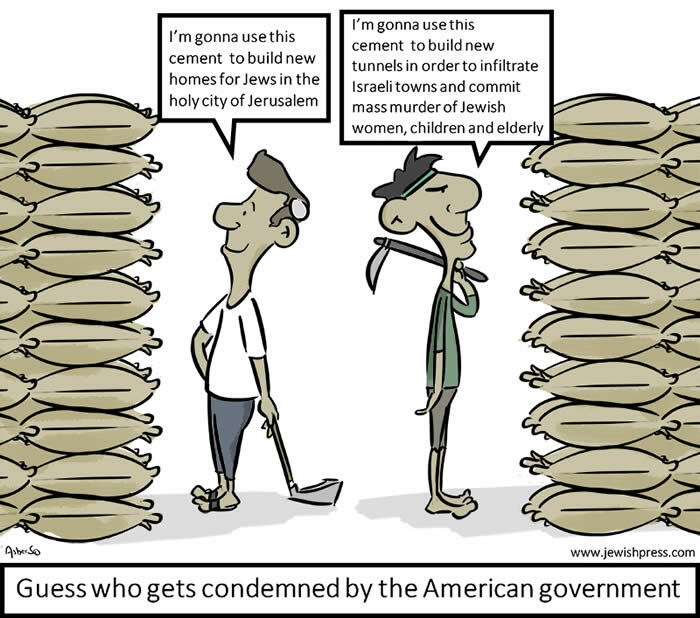 The imminent demolition of buildings in Arab Susiya has become a cause célèbre in left wing circles. 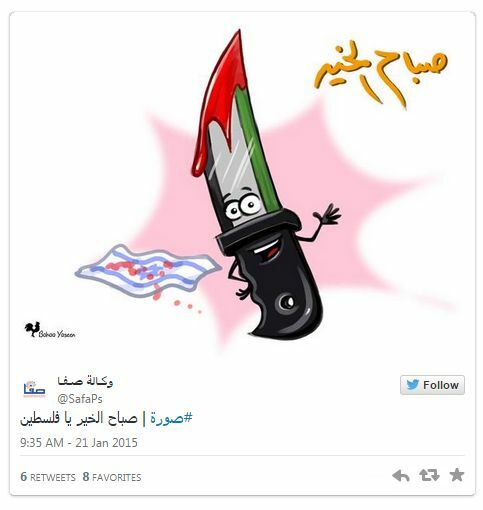 “Susiya 4ever!” they say, as if this is some noble cause. Even a Senator – Dianne Feinstein – imagined she had a right to say something about what Israel was doing. And several NGOs have been involved. Rabbis for Human Rights has now actually approached the High Court and asked that the demolition orders be shelved. Defense Minister Avigdor Lieberman will be going to the Court on Monday to present the State’s case on this. If the State were to recommend that the demolition be shelved, the Court would likely accept this – there would be no reason not to. Word is that Lieberman will tell the Court we must go ahead. We need them to monitor what we are doing? There is a warning implicit in this. I hope and trust that steam is now coming out of your ears as well. 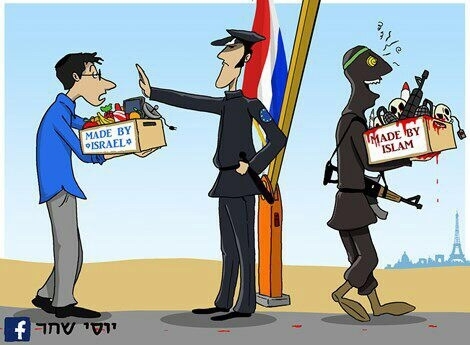 It is imperative that the Israeli government stand strong in the face of this. Otherwise our legal system is degraded and our state is demeaned. If the US finds it can push us around here, what comes next? And so I ask each of you to voice support to our leaders. I know that some of you reading this will not listen, but I will say it again anyway: Long emails are counter-productive. Our leaders and their aides are extremely busy. They do not need lectures or history lessons or legal instruction. They don’t need to see your credentials or learn of your experiences. When they see this it is a turn-off and they probably don’t even read the message through. What counts here is that they see a large number of brief supportive messages. A maximum of four sentences. Tell them that you are furious about the pressure being applied by the US government with regard to the demolition of illegal buildings in Arab Susiya. Tell them you are with them. Urge them to stand strong no matter what. © Arlene Kushner. The above is produced by Arlene Kushner, functioning as an independent journalist. Permission is granted for it to be reproduced only with proper attribution. 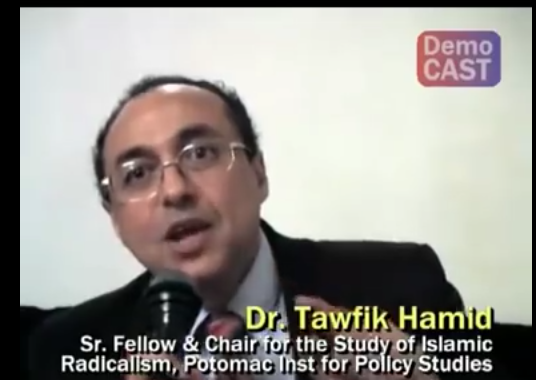 "At one time, I was paid by the Israeli Government, by the US government, by the Palestinian Authority, and by Hamas...so I speak from the authority of experience...It's not a second-hand knowledge.... At some time, I thought the Jewish people were the enemies of humanity, I thought that they were the enemies of my people, the Palestinian people....until I came to experience what the Jewish nation really is, through the intelligence service, through witnessing the true democratic model in a ocean of darkness, the only light in the Middle East. I wonder people here in the free world who think that they are free, unifying against Israel,attacking Israel, isolating Israel, Boycotting Israel, hypocrisy coming together with political correctness, two faces for the same coin. In the Moslem society I witnessed a woman who sent five of her children to die in suicide bombing attacks. She would put the explosive belt on them and bless them and tell them and tell them to go kill the Jews, to gain respect in her society. That is the problem with that society's conditioning." Please listen. An Israeli hospital confirmed Sunday that it had treated the daughter of Hamas’s top leader in the Gaza Strip, weeks after a brutal war between Israel and the Islamist terror group. Israeli Ambassador to the UN Danny Danon's campaign to lift the ban on an Israeli exhibit has paid off, as after initially blocking the exhibit and later partially allowing it in April, the UN has now folded, allowing it to be shown in its entirety at UN headquarters in New York. 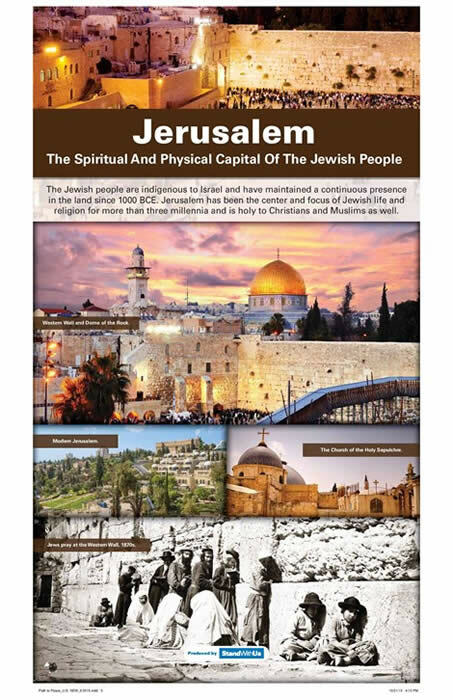 The exhibit, a joint initiative by the Israeli Mission to the UN and pro-Israel non-profit StandWithUs, presents information about Zionism, Jerusalem and Arab Israelis. 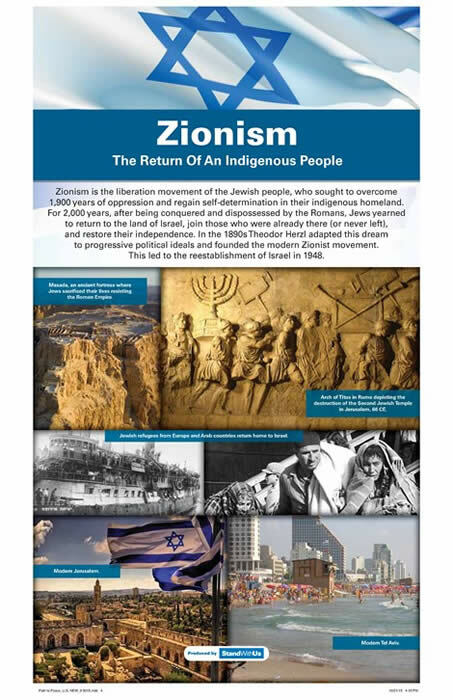 It notes that "Zionism is the liberation movement of the Jewish people, who sought to overcome 1,900 years of oppression and regain self-determination in their indigenous homeland." 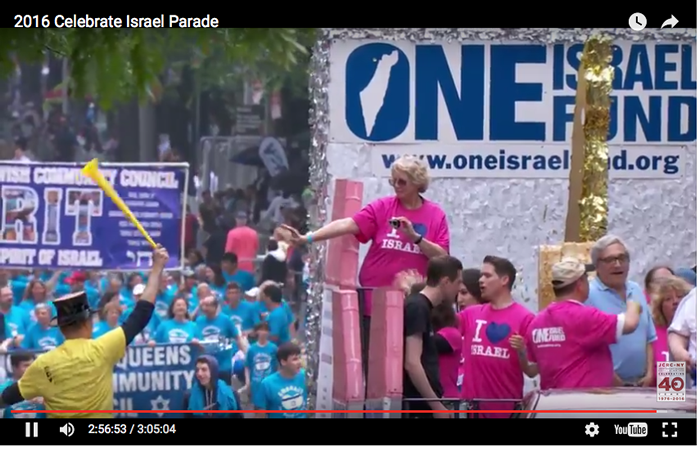 Danon held a protest when the exhibit was censored in early April, and hours later the UN abruptly reversed course, giving the okay for the display on Zionism – but not the displays on the Jewish people's historic connection to Jerusalem and Israel’s treatment of minority populations. The Israeli Mission continued its diplomatic struggle for the last two months, and this week the display was finally presented in its entirety, including the sections the UN had sought to censor. "We stood firm that the exhibit on Jerusalem, the eternal capital of the state of Israel, be displayed at the UN," said Danon. 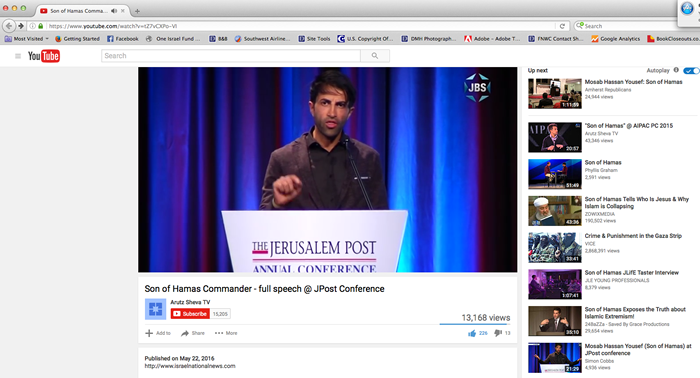 "It is not possible to censor a significant part of the history and the values of the Jewish nation." The exhibit was displayed at the UN headquarters in New York, visible to diplomats from around the world as well as visitors to the building. "I am very proud that we stood our ground and achieved a clear victory for the Israeli truth. The days are over when they will try to censor our heritage and demand that we hide the special place of Jerusalem in the history of the Jewish nation and the state of Israel," added Danon. "One million Arabs living in Israel are not suffering like the Palestinians living with the Arabs..."
"I have been to Israel twice and I am telling you the Jews do not hate the Arabs. It is us,we are causing the problem, and we have to change." from Wikipedia: On 1 April 1933, the Nazis carried out their first nationwide, planned action against Jews: a boycott targeting Jewish businesses and professionals... The Nazi boycott inspired similar boycotts in other countries. 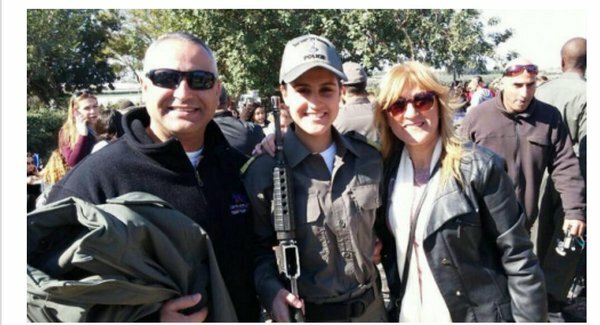 19 year old Hadar Cohen, who was photographed a week before with her beaming parents at her graduation into the Border patrol, was murdered by a machine pistol-wielding attacker while another knifed her and another young female victim in the ancient center of Jerusalem. 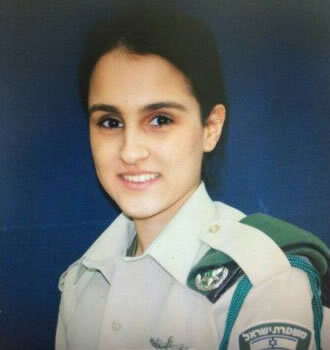 Before she collapsed and lost consciousness, Hadar managed to shoot one of the terrorists, thereby saving the other policewoman's life. 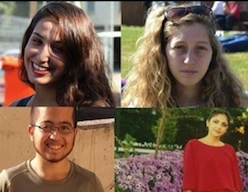 This act of heroic bravery in defense of another's life while her own was slipping away under vicious attack was reported under the CBS headline, which read “three Palestinians killed as daily violence grinds on,” then “Israeli police kill 3 alleged Palestinian attackers,” and ultimately: “Palestinians kill Israeli officer, wound another before being killed.” How devoted CBS must be to not acknowledging the reality of the crime nor the beauty and nobility of its victims. And how despicable that anyone, anywhere, accepts the CBS brand or any of the other mainstream, hateful and deceiving media. Dr. Martin Luther King during a 1968 appearance at Harvard University, stated bluntly:"When people criticize Zionists, they mean Jews, You are talking anti-Semitism." [ from "The Socialism of Fools: The Left, the Jews and Israel" by Seymour Martin Lipset; in Encounter magazine, December 1969, p. 24. ]. See the parallel with the 1930's: In Germany, it started with the boycott of Jewish businesses, the humiliation of Jews in the schools, their harassment in colleges and universities, and ended with almost all of Europe and its peoples, not just the Jews, being enslaved. It started with the Allies turning a blind eye to Germany taking land, then rearming, then invading Austria, then Czechoslovakia, then Poland - and then it was too late, and almost 50 million died. As the world now, once again, from the posh prep schools to the big colleges, from the UN to the churches, starts marching to this trance of hatred, can it, can my friend, can you, pull back and say: Never Again? I think it's YOUR problem, and it's up to YOU to stop YOUrselves before you destroy YOUR civilization. Angela Merkel said at Dachau on April 29, 2014: “We are all forever called upon, to never close our eyes and ears to those who today accost, threaten and attack people when they identify themselves somehow as Jews or also when they side with the state of Israel.” "No, we will never forget. We’ll not forget for the sake of the victims, for our own sake, and for the sake of future generations.” “We all are forever called upon to make unmistakably clear that Jewish life is part of our identity,” Merkel added. She, the German head of state knows, we are all in this together.